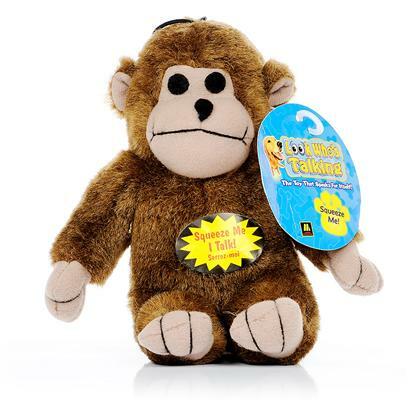 With Talking Plush Animal Friends, your dog or cat will enjoy hours of endless fun. These adorable plush toys come in four animal types frog, cow, monkey or pig. Each toy emits an individual and attention grabbing noise when squeezed or bitten. You no longer have to worry about how to keep your pet entertained. Talking Plush Animal Friends will do take care of that for you!